The adapting and transplanting of ingredients and dishes from other cultures is nothing new. In fact the fusing of various cuisines has been around forever. Fusion Cuisine may have been the culinary buzzword for last 2 decades but cultures have been “fusing” cuisines and ingredients ever since man started exploring and travelling with every nationality borrowing foreign food ideas, and adapting them to their own culinary heritage. In cooking terms certain ingredients are synonymous with certain national or ethnic cooking styles. Soy sauce is always associated with Asian cooking as is chili, coriander, lemon grass etc but apart from the soy sauce most of the ingredients found in today’s Asian cuisine are imports from other continents and culinary traditions, brought to Asia by Spanish, Portuguese and Dutch traders and explorers. 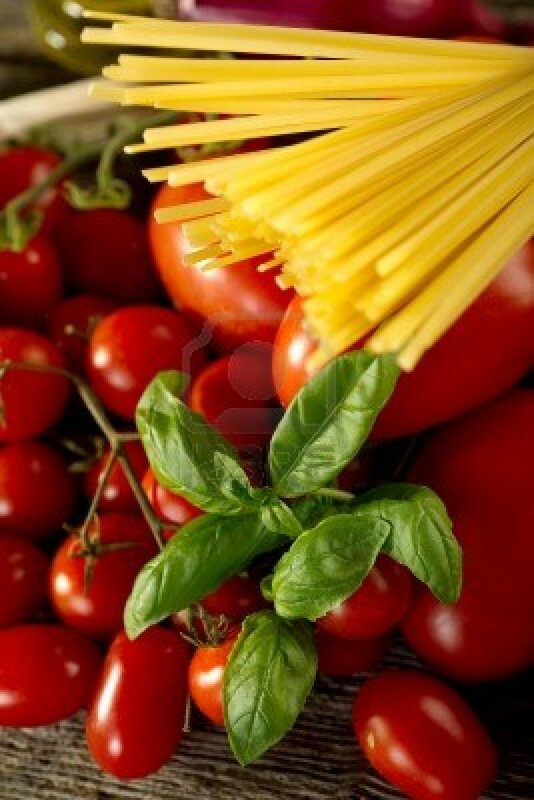 When we think of Italian cuisine we automatically consider tomatoes, basil, peppers, zucchini, eggplants etc. but are these ethnically Italian? The answer is no! The first tomatoes to be introduced in Europe were brought by the Spanish Conquistadors from South America in the early to 16th century. The fruit was called “tomatl from the indigenous Inca language. The same goes for peppers, also introduced from South America by the Spanish. Eggplants, artichoke and zucchini were introduced through the ancient Jewish inhabitants of Rome. It is safe to say that traditional l or aristocratic English fare after the Industrial Revolution was an old-fashioned, back woodsy cousin of French cuisine to begin with. In English you can’t talk about food without using French-based words such as boil, fry and sauce. 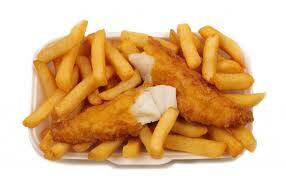 But what about that most British of dishes Fish and Chips..? The preparing and eating fried fish in batter started to appear in England during the fifteenth century; it was derived from the Pescado Frito cooked by Portuguese Sephardic Jews – Marranos – who had moved to Britain to escape persecution in their homeland. By the Victorian era “Fish Fried in the Jewish Fashion” was very popular in the working class districts of London, particularly in the East End. Dickens refers to a “fried fish warehouse” in Oliver Twist, which was first published in 1837. It seems to have become available in large quantities with the rapid development of trawler fishing in the mid-19th century. If there had never been this sort of migrations and integrations of different foods and products we would not now be enjoying and experiencing today the herbs and fresh tomato sauces of today’s Italian cuisines. We wouldn’t know about the taste sensations of Mexican cuisine with its exotic chili spicing and unfamiliar uses of corn. Asian cuisine would be devoid of chili heat and we wouldn’t know the pleasure of French fries with everything. The mass immigrations from Europe in the late 19th century onwards into the Americas brought the transplanting of their cuisines. Americans learned of Italian food first from the influence of poor Italian immigrants; for most of the 19th Century, But even in the Middle Ages, the English had known something about Italian food, though they spelled macaroni as macrowes and lasagna as lozenys . That quintessential New York sandwich of Bagel and Lox was introduced by Jewish immigrants from Eastern Europe and of course the New York Deli is just a culmination of Eastern European Jewish foods. One of the most distinct but subtle examples of cuisine and ingredient transferring is in Asia. In fact a large number of dishes that we take for granted as being ethnically pure for certain Asian cultures are in fact just versions of European dishes using ingredients imported by Europeans from geographical areas far removed from the current places. 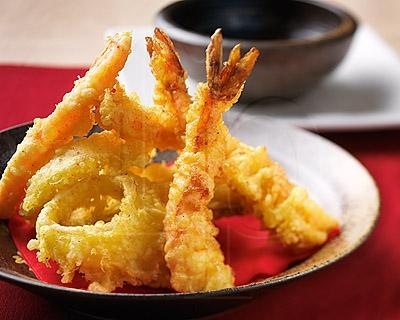 Japanese Tempura – The recipe for tempura was introduced to Japan by Portuguese Jesuit missionaries mainly in the city of Nagasaki also founded by the Portuguese, during the sixteenth century (1549). The word “Tempura” derived from the Latin word of “Tempora”, which refers to “The Ember Days (quattuor anni tempora)”, when Catholics refrain from eating meat. The Portuguese also introduced Panko or what we call today Japanese breadcrumbs. This also led to the schnitzel like breaded and fried pork or chicken cutlet, tonkatsu. Indonesian Satay with Peanut sauce – Skewering and grilling meats was introduced in to SE Asia by Arab traders and Spanish explorers introduced peanuts to Indonesia in the 16th century; and soon peanuts became a staple of Indonesian cuisine. Shortly after the peanut’s introduction, Indonesians created the flavorful peanut sauce by crushing and roasting them with other Indonesian spices and foods. What would the various cuisines around the world be like without these ingredients? No tomatoes in Italy? No vanilla in France? No potatoes in Ireland? Yes, the entire culinary landscape of the planet would be completely different if it wasn’t for these native foods. Avocado’s amazing silky texture is due to its high fat content of over 20%. Even though high in fat, it’s the beneficial mono-unsaturated type. Sailors used to call avocados “butter pears” and actually used the flesh as one would use butter. Chili peppers both hot and sweet, are a common ingredient in almost every major cuisine worldwide. It’s hard to image a time when there were no chili peppers in Asia, or Europe, but it all began over 10,000 years ago in the Americas. 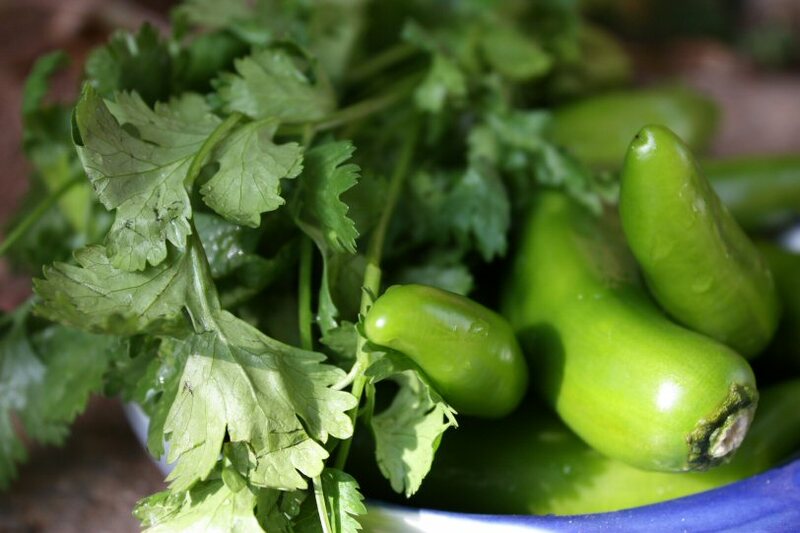 Peppers were clearly one of the first crops grown by the Native Americans. From Peru, up to New Mexico, these prehistoric people grew chili peppers for both their culinary and medicinal benefits. Christopher Columbus is credited with naming them “peppers” because he thought they tasted like Asian spice (the peppercorn variety). After being brought back to Europe they quickly spread around the globe, especially thriving in the tropics. A world without chocolate? It is a scary thought. It’s produced from the seeds of the cacao tree, which is native to South America. Cacao has been grown for over 3,000 years in Central America and Mexico. The Maya and Aztecs cultures both used the cacao beans, but it was not the sweet treat we think of today. It was fermented and made into a drink that was often flavored with chili peppers as well. Our modern chocolate is made from cocoa, which produced from the roasted, and ground, cacao beans. Native Americans were cultivating “maize” in what is now Mexico over 5,000 years ago. The term “corn” was actually a generic English word for any granular particle, most often used when referring to other cereal grains. The early English settlers called the Native tribe’s staple crop “Indian grain,” then “Indian corn” which was later shortened to just “corn.” Corn was vital in the survival of the first European settlers, as it produces much more grain from an acre of land than any other crop, and can be eaten fresh and stored for long periods dry. There is evidence that peanuts were domesticated in South America over 7,00 years ago. To a cook, a peanut is certainly a nut, but to a botanist it’s technically a “woody, indehiscent legume.” It is not actually a nut at all. It’s really a bean. The word “pineapple” was originally an old European term for what’s now call pinecones. When the explorers discovered this fruit in the American tropics, they called them “pineapples” because they thought they looked very similar. Like papaya, pineapple also contains an enzyme that breaks down protein, which was used by the Native Americans to tenderize meat. This starchy tuber’s origins are traced back to the prehistoric mountains of Argentina. It eventually migrated up through all the Americas and was eventually taken back to Europe where it found many homes, Ireland being the most famous. While there were originally only a handful of varieties cultivated, today there are over 5,000 varieties. Interestingly, the commercial varieties that Americans currently enjoy were actually developed in Europe. The exact dates and location of the first tomatoes are still debated, but most sources agree it’s indigenous to South America. The Mayans were the first people we know used the tomato to cook with. 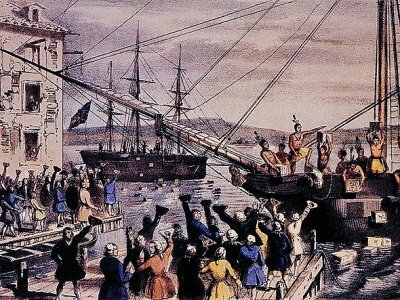 It was spread throughout Europe and the rest of the world via the Spanish explorers. It took a while for the tomato to become accepted as a food in the Europe, where many held on to the old belief that the plant was poisonous. It is part of the deadly nightshade family of plants. They were commonly grown as ornamental plants for their bright fruits and dark green foliage. Vanilla, originating in Mexico, is produced from the long, thin pods of an orchid plant. The name is derived from the Spanish term for “little pod.” The French fell in love with the vanilla bean and planted it in their tropical colonies, such as Madagascar, where most of the world’s vanilla beans are now grown. The Aztecs considered vanilla an aphrodisiac, and that reputation has survived to this day. The key to good tempura is fresh ingredients, lumpy batter and a constant oil temperature. Make the batter just before deep frying and do not over-mix it. Prepare vegetables and fish and thoroughly dry with paper towel. Heat oil in a thick pot or deep fryer 350 degrees. In a mixing bowl, lightly beat egg yolk and pour in ice water slightly mix. Add the flour all at once, stroke a few times with a fork, just till ingredients are loosely combined. The batter should be lumpy not smooth. If you over-mix till smooth the coating will become heavy and turn out oily. Place 1 cup of flour on a plate, dip vegetables in the flour, shake off excess. Then dip in batter and lay in the hot oil and deep fry till golden brown and place on a plate with paper towels to allow excess oil to drain off. Skim the surface of the oil occasionally to keep it clean. After frying vegetables, do the same with the seafood. Serve with soy sauce for dipping.